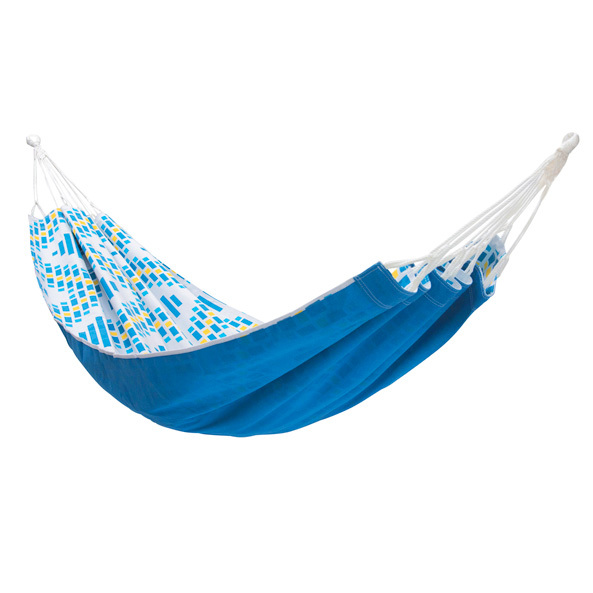 The Mosaic single sized hammock combines a striking tribal geometric pattern with a mix of cool coastal colours and the reverse a deep-sea blue. This intricate design with its bright mix of colours and tessellated pattern is the perfect accessory for any outdoor space. Our high-quality virgin cotton is woven using long fibres to provide beautifully soft, strong and lint-free fabric that is easy to clean. 100% polyester suspension offers exceptional durability with resistance to UV, rot and mildew. Double hemmed seams with polyester triple top stitch reinforcement, quality craftsmanship that is made to last. 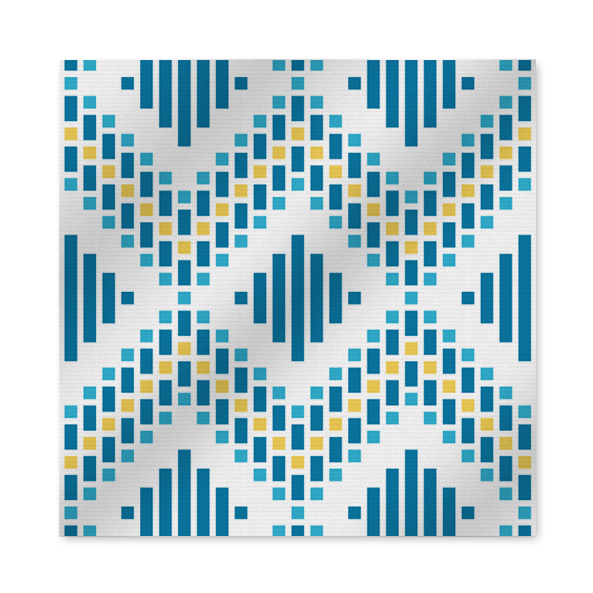 Made with colourfast dyes for longer lasting, vibrant & reversible patterns. The superior single hammock comes with a protective storage wrap to ensure long lasting enjoyment. We at Two Trees realise that hammocks are all about relaxing at home or away from home and have designed every product with high quality, durability and ease in mind so that you get the most enjoyment out of our product as possible. So whether you are relaxing in your backyard, at the beach, camping or even inside your house alone or with your family – the full range of Two Trees hammocks has a product for you.